Posted by Gernot Groemer in OeWF News. 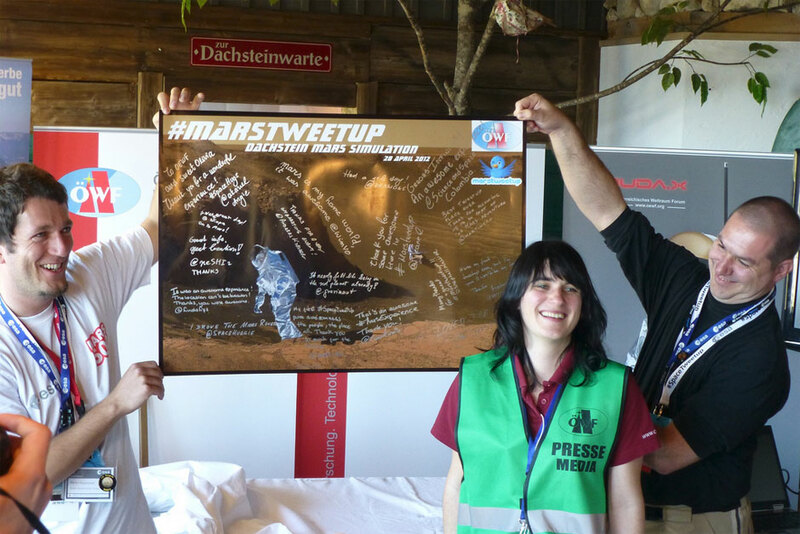 Traditionally, the Austrian Space Forum takes a look back at the working year: 2012 was an intense one with a series of major milestones. The following visual impressions provide a colorful and arbitrary reflection on our year in space. 1 1. 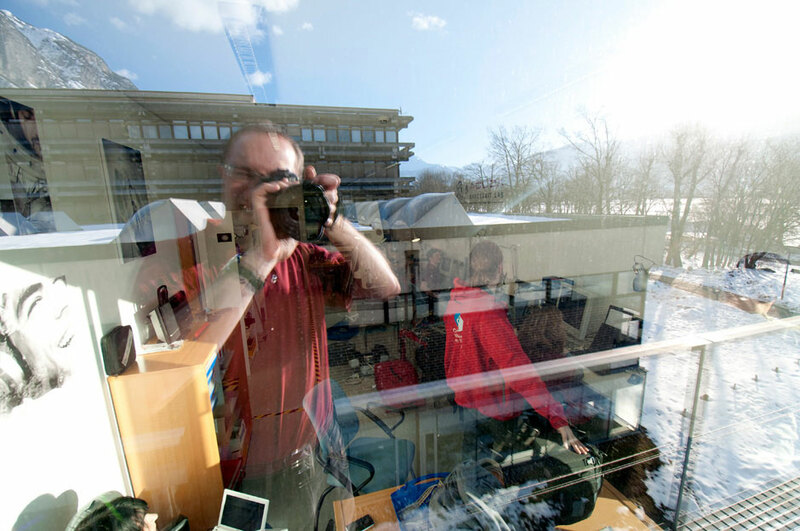 Integration workshop in the new suitlab: Literally thousands of working hours have been invested in the Aouda.X spacesuit simulator in 2012 – since the end of 2011 mostly in the new lab at the University of Innsbruck. 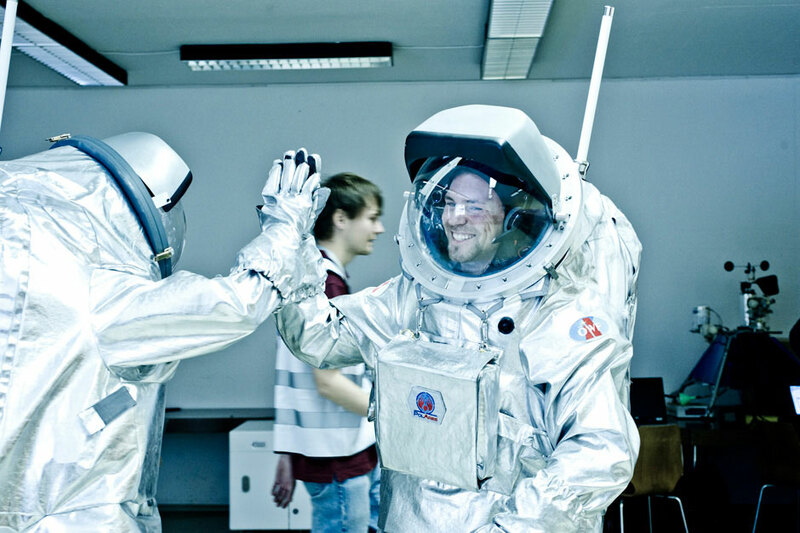 PolAres Programme Officer Gernot Groemer takes a peek into the electronics development room of the spacesuit lab. 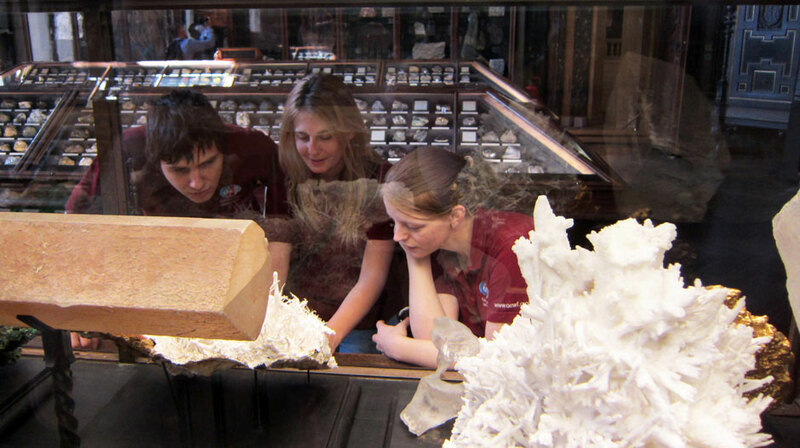 3 A look into the mineral collection of the Museum of Natural History, Vienna: Sebastan Sams, Csilla Orgel and Julia Neuner of the OEWF were three of the participants for the first geology training workshop in Vienna. 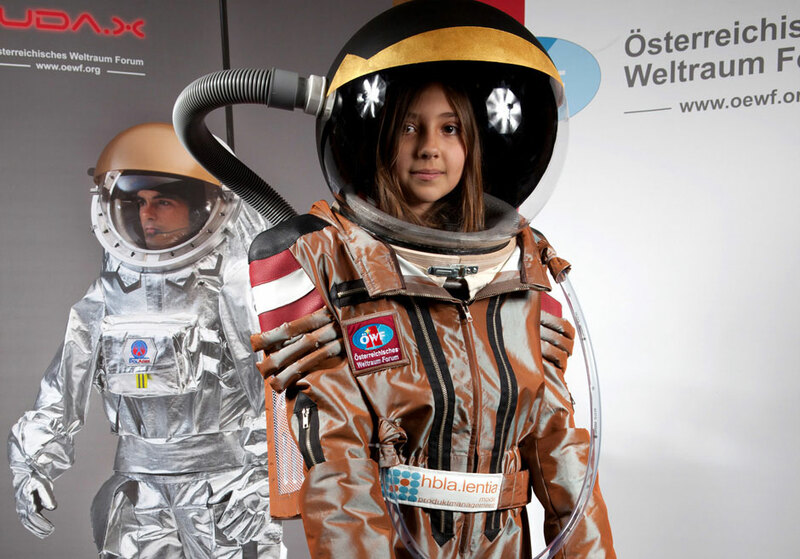 6 “Spacy” side programme at the Tyrolean Womens Run: Two young “astronauts” try out the childrens spacesuits at the Mars station during this major sports event. 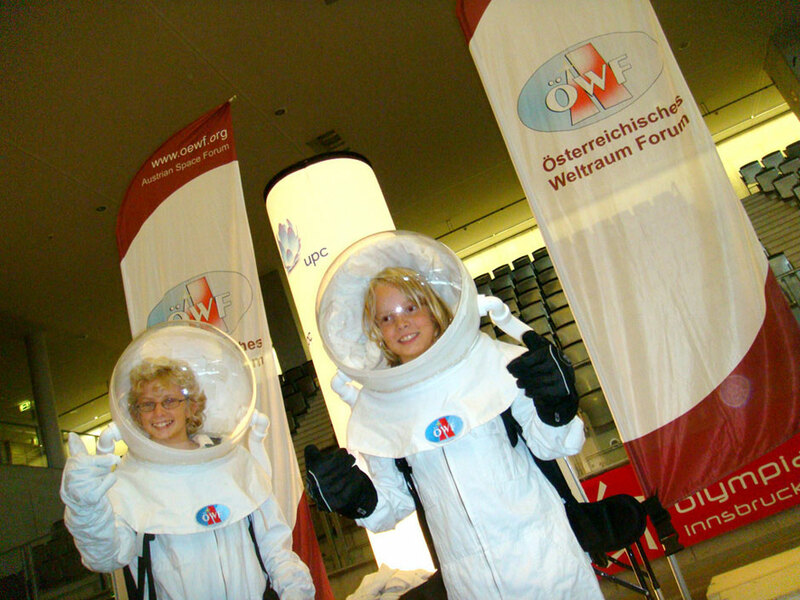 The OEWF organised more than a dozen of these outreach events throughout the nation to convey the fascination of space activities. 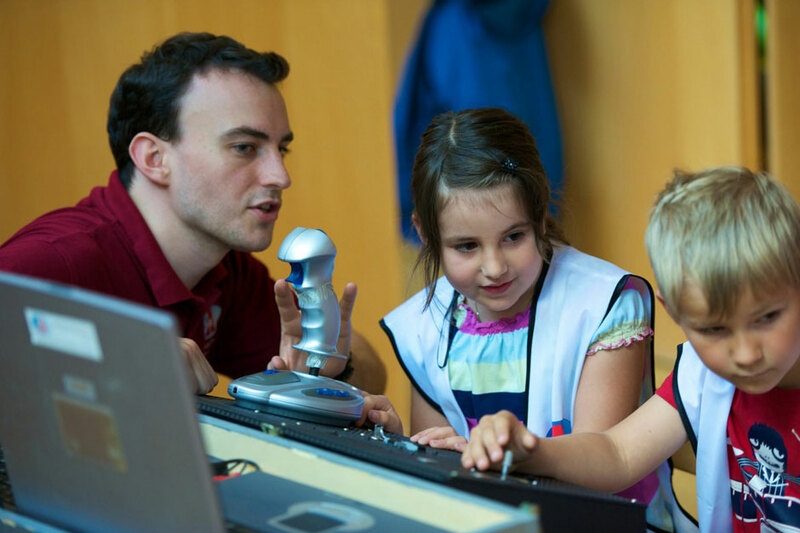 Each year, tens of thousands of school children are touched by the spirit of exploration this way – some of them return to the OEWF as student interns many years later or even start a career in the space field. 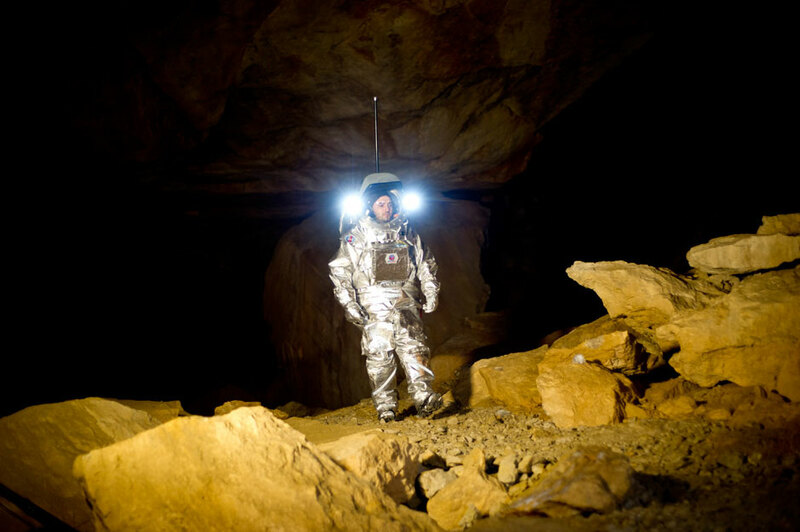 8 A spacesuit for an ice cave: As a sustainable echo after the cave simulations, the Dachstein AG, the cave operators, invited the Austrian Space Forum to provide artefacts from the field camapign for a permanent exhibition on-site. 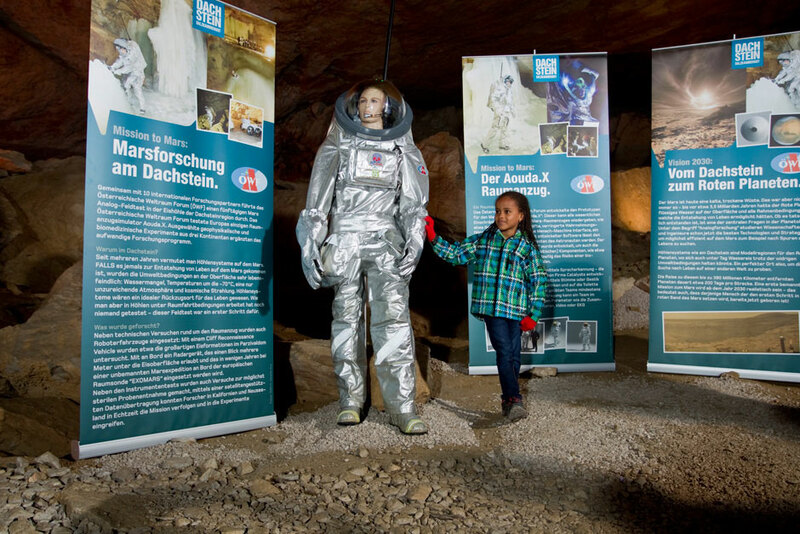 The Forum created the museum version “Aouda.D” (D stands for Dachstein) for this display. 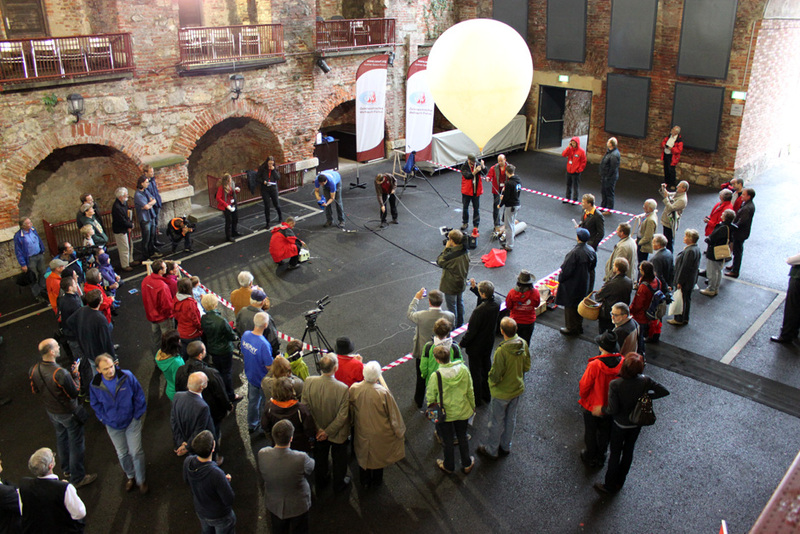 9 A stratospheric balloon for a nobel laureate: Commemorating the discovery of cosmic radiation by Victor Franz Hess, the Austrian Space Forum – in cooperation with the Institute of High ENeregy Physics at the Technical University of Vienna – launched a stratospheric balloon of the Passepartout-class under the lead of Michael Taraba. 10 Analog-Astronaut Training: Stefan Hauth, the leader of the On-Board Data Handling Teams of Aouda.X explains to Luca Foresta, Christoph Gautsch and Daniel Bergmeister the setup of the main computer board of the spacesuit simulator. In December 2012, six candidates successfully completed their analog-astronaut final exams, three of them will have their first mission assignment already in February 2013 during the MARS2013 expedition. 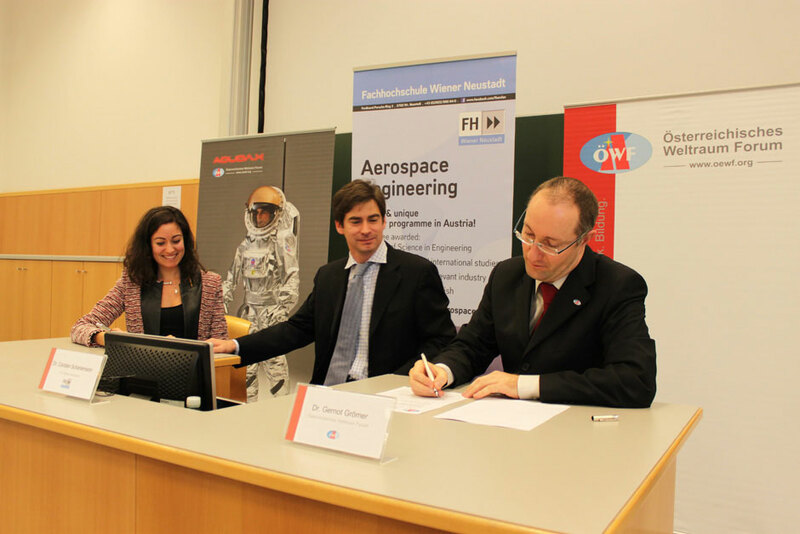 11 Cooperation between two space institutions: Andrea Jamie Alabat of the Space Generation Advisory Council and Gernot Grömer of the Austrian Space Forum undersign a Memorandum of Understanding at the University of Applied Sciences in Wiener Neustadt. Carsten Scharlemann, the director of the master course for Aerospace Engineering hosted the ceremony.